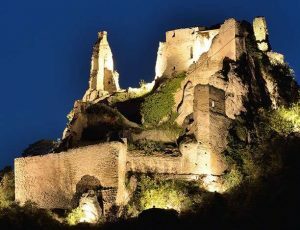 Richard actually had a couple of nicknames – the first ‘Oc e No’ (Yes and No in Occitan), was given because of his reputation for terseness! 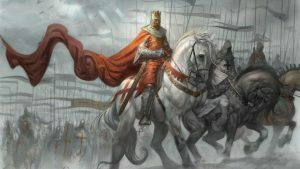 The second Richard Cœur de Lion or Richard the Lionheart was possibly because of his reputation as a great military leader and warrior in his early days when he was Duke of Aquitaine. This was before he fought his Dad for the crown, became king, crusaded in Outremer (French for ‘Overseas’ generally used to describe the Crusader states in the Middle East) and returned via our Lionheart Bike Tour route and regained his kingdom! It is an excellent name – ‘Lionheart’! For a person, what a compliment but for the Lionheart Bike Tour it also is amazingly apt! 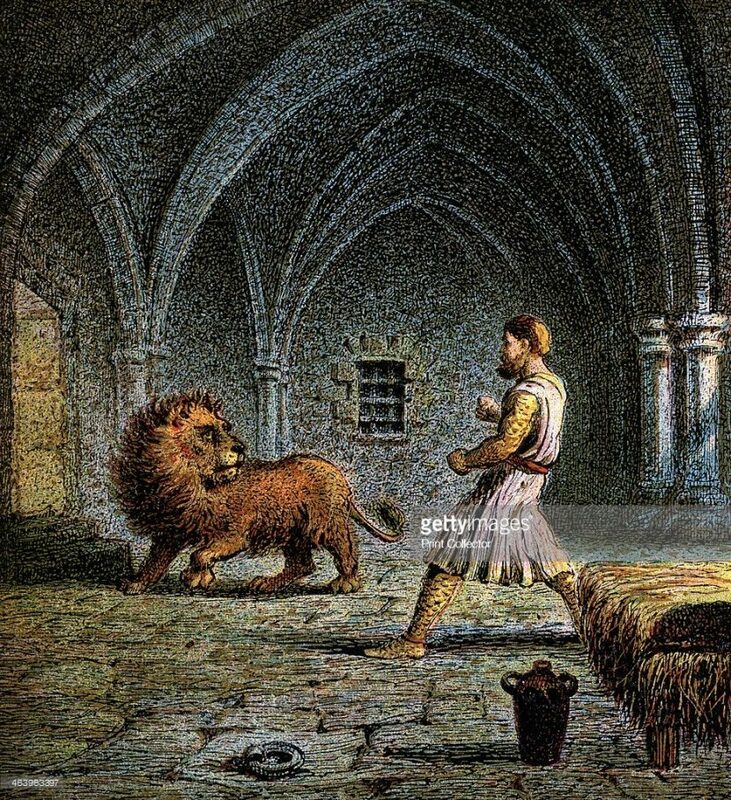 The story I prefer as to how Richard got his nickname goes that when he was in prison in Durnstein Castle in Austria, his captor Leopold V sent a lion into Richard’s prison cell to kill the king. Richard attacked the Lion and rammed his arm down the lion’s throat. He somehow withdrew his arm, with the still beating lion’s heart in hand! When his captor came to his cell he presented the heart to him. Surely there are simpler ways to kill a prisoner than death by Lion! Another version of this fable goes that Richard requested a lion be brought to his cell. When it was, he killed it and ate it’s heart! What can be said about his nickname is that it was apt. He led from the front and was a truly brave commander inspiring his troops to victories – Sometimes, however his bravery was pushed to the point of stupidity – see our blog on how he died!. The lion, being an animal known for bravery, was an obvious symbol for the king to use. Richard’s coat of arms is thought to have been the three lions passant, which is still used in the English and British coat of arms, as well as being the emblem of England’s national football team which seems a little less apt considering their reputation under pressure! Anyway… to the Lionheart Bike Tour. This is our most challenging tour (but don’t forget every day has different length options and there is always a sag wagon at hand). 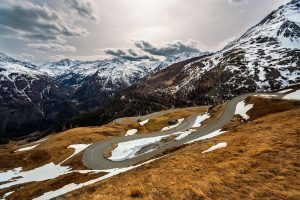 We have some amazing cycling – focusing on the challenges we climb into and through the Dolomites, up the San Boldo, around the Sella Ronda to the Austrian Alps. Then over the Grossglockner and after looping over the high plains of Austria we ride through Tyrol where the valleys are deep but the optional climbs regular and steep! Great hill riding throughout!